We are a leading Wholesaler of parts washer bench standing, solent maintenance sprays and lubricants, thread repair kit, degreasing station washer, protective coating and ep2 high load lithium grease cartridge 400gm from Hyderabad, India. Used in garage, workshop and industrial applications for degreasing components for inspection and prior to assembly. Recirculated cleaning fluid is filtered before entering the pump and being directed over the work piece. Flexible chrome finish metal delivery hose. Heavy duty non-welded one piece tank. Fully enclosed electric nylon pump. Self-latching fusible linked lid closes in the event of a fire. Triple baked enamel finish. Accepts all common degreasing agents. Shelf keeps parts out of solvent during inspection and drying. Immersion soaking when the parts shelf is removed. Fitted with a 3 pin moulded plug and a 1.6m power cable. Overall size (L x W x H): 470 x 340 x 250mm. Tank size (L x W x H): 400 x 310 x 230mm. 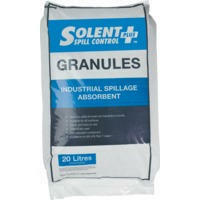 Minimum agent capacity 9ltr. Maximum agent capacity 13ltr. Rubber feet. You can rely on Solent? Maintenance for lubrication, flaw detection, automotive detergents, grease, anti seize compounds all are formulated from the highest quality ingredients to stringent manufacturing standards. Solent? Maintenance DW25 de-ionised water can be used in lead-acid car batteries, it is also suitable for domestic appliances such as steam irons and steam cleaners, avoids problems caused by scaling. It can also be used as a final rinse in car washing to avoid ?spotting? and is also suitable for rinsing scientific glassware. 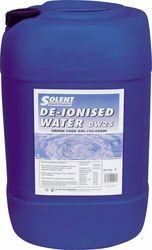 De-ionised water, when first produced has a neutral pH level of 5.5. The pH level changes as carbon dioxide from the air dissolves in the water and forms carbonic acid (H2CO3). Boiling the water will remove the carbon dioxide and restore the neutral pH. 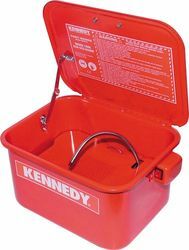 Kennedy Professional Thread Repair Wire Inserts are the easiest and quickest inserts to install to repair damaged or worn threads, you simply screw the insert into the pre-drilled and tapped hole, until the drive tang breaks off. They can be used with plastics or other materials provided that the material is strong enough to withstand the expansion of the insert as the screw thread locks into the wall of the hole. 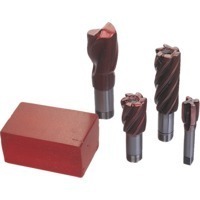 They are also suitable for new applications where, because of their mechanical strength benefits their introduction may result in the use of thinner sections or lighter parent materials without sacrificing thread strength they can also be used for converting from metric to inch and vice versa. Most inserts are 1.5x diameter for length. For example:- M6 is 9mm long. Available in Metric, UNC, UNF, BSF, BSP and BSW sizes. For all dimensional specifications please refer to our catalogue. 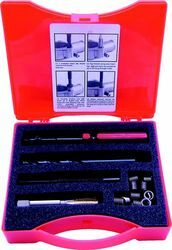 Each Kennedy Professional Thread Repair Wire Insert Kit is supplied complete with a Hand Tap, Inserting Tool and Inserts. Air operated, strong and durable mild steel degreasing station. Ideal for use as a soaking bath and air agitation facility aids the degreasing process by removing heaviest oil and grime from small parts. Also comes with a flow through brush to deal with caked on grime. Designed to sit on 100L barrel. Dimensions: (L)760mm(30") x (W)510mm(20") x (H)200mm(8"). Working height when on 100L drum 890mm (35"). Solvent delivery: Flow through brush. General: powder coated bowl and galvanised splashback sheet. Tray is mild steel. 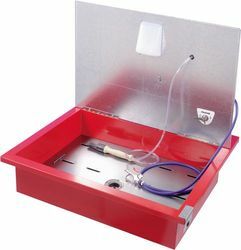 Hot dip strippable plastic coating moulds itself around the component or tool being coated to provide 100% coverage and protects against corrosion and impacts, for up to ten years. The component protected can be easily identified through the translucent coating. Simply removed by peeling it off, leaves behind a thin oil film to provide short term protection against corrosion. The removed protective dip can be reused. Never directly apply heat to melt the protective dip, always use with a suitable melting pot. Working temperature 130C to 160C (for optimum results 140C to 145C). 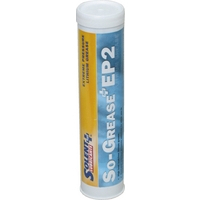 So-Grease EP2 High load lead-free lithium grease. 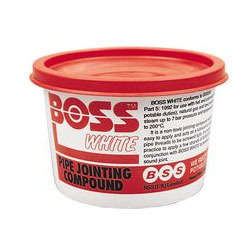 Contains anti-rust additives to protect against corrosion. Anti-oxidants included to prolong product life. High ageing stability/high oxidation stability. Supplied in 400g, 5kg, 12.5kg or 50kg containers. PM175K With stainless steel Venturi pump. Screws into 205 litre oil drums. 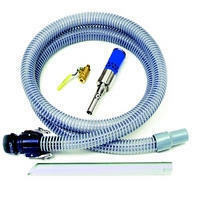 Uses compressed air to create a powerful vacuum. Empties liquid and suspended solids from tanks and can fill a drum in as little as 90 seconds, making it ready for appropriate disposal. Shuts off automatically when done. Looking for Lubricants and Chemical Products ?